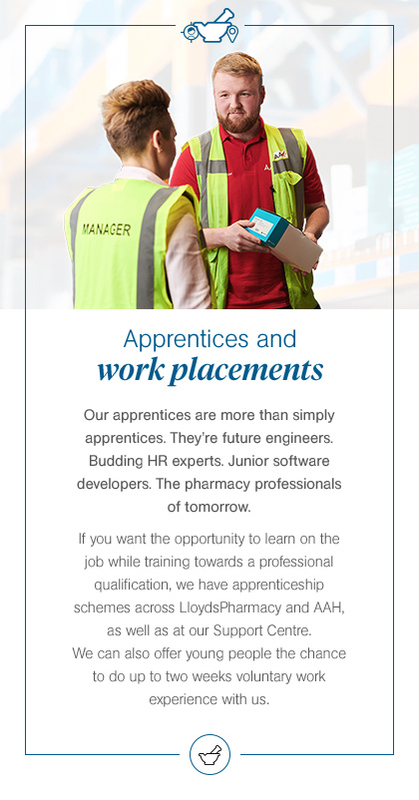 We want you to get as much out of your apprenticeship as possible. So throughout your time on the scheme, you’ll be supported by your line manager and a site mentor and will have regular reviews to discuss your progress, review action plans and map out your future development. Most of your learning will be done on the job or through studying towards your formal apprenticeship qualification. You will also be expected to complete core training in areas relevant to your role, such as Health, Safety & the Environment. Email resourcingteam@mckesson.uk explaining what experience you want to gain, the department you’re interested in and the dates you’re looking to work.